Growing up, one of the things I loved most about our annual trek to Yosemite was making s'mores by the campfire every night. I'm a girly girl, so I could have done without the "roughing it" aspect of the trip, but those gooey, melty, chocolatey marshmallow and graham sandwiches almost made up for the lack of a real bed. 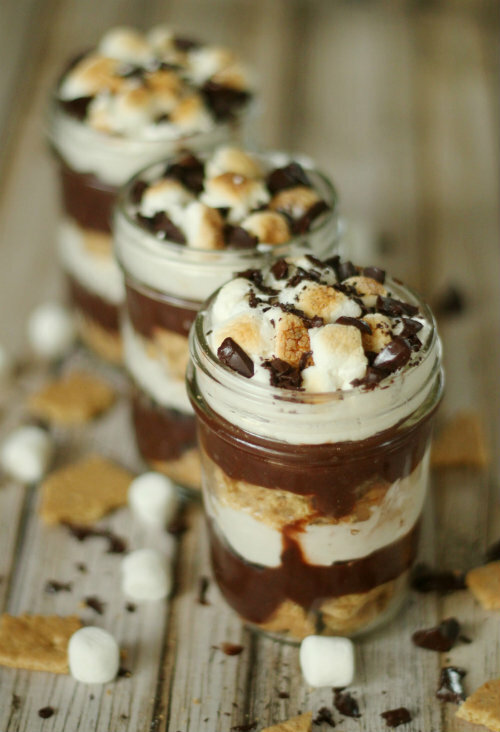 Even though I haven't been camping in years, I still consider s'mores one of my favorite desserts so I'm always looking for new ways to make them. 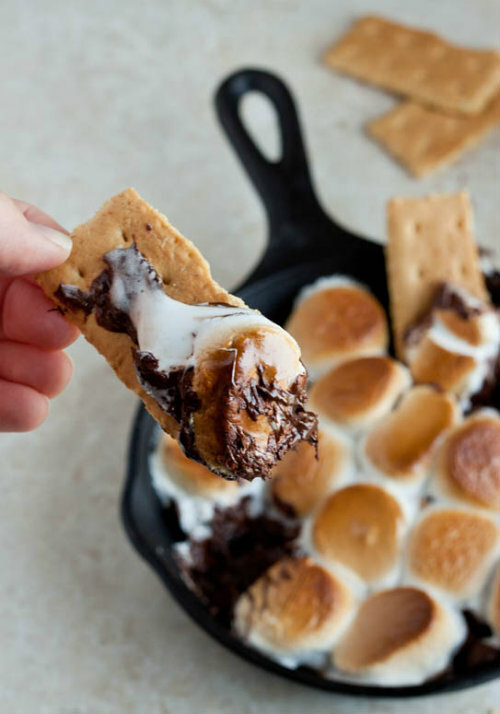 These recipes put a fun twist on classic s'mores, no campfire needed. 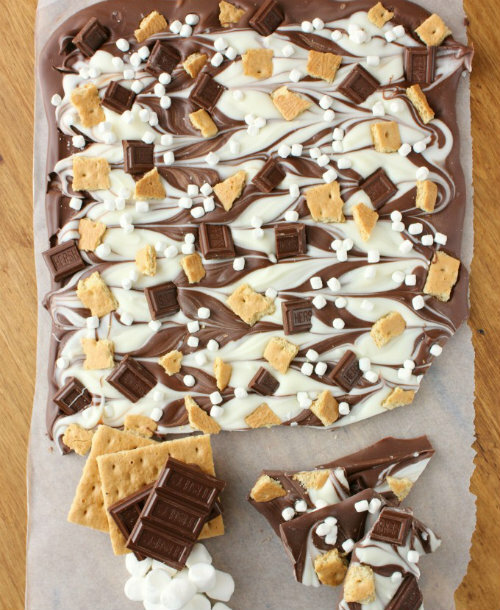 The indoor s'mores is my fav! Camping?...no bueno. 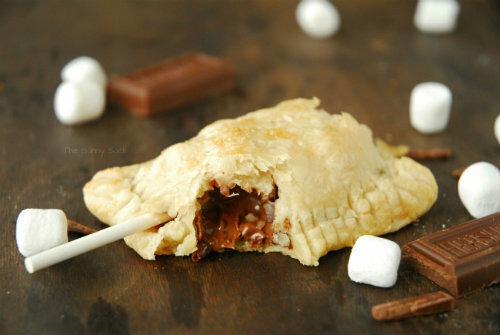 Bugs in my gooey marshmallows is MUY MAL! 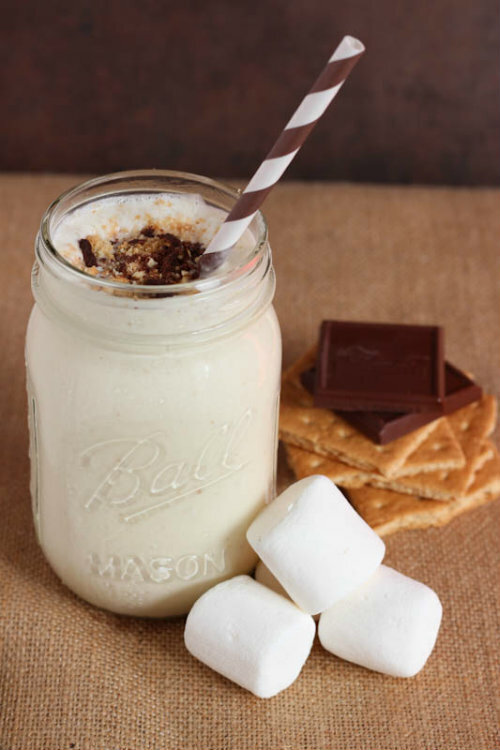 Oh my goodness, I must try that s'mores milkshake - it looks so good!